It was not sufficient for US military authorities to sentence whistleblower Chelsea Manning to the onerous, disproportionate sentence of 35 years imprisonment for conniving with WikiLeaks in releasing classified material. (People have gotten less for gruesome, remorseless murders.) Punishment has a myriad of forms, and even within the carceral system, Manning has discovered that additional methods can be devised. As with any penal system worth its brutal salt, minor infractions incite strong rebuke and hefty retaliation. Manning has previously been in hot water over the usual violations of the prison code, be they as innocuous as possessing an expired tube of toothpaste, or having inappropriately designated research materials used for the drafting of articles. The three member disciplinary board at Fort Leavenworth, Kansas claimed that the punishment for Manning, which involves a fourteen day sentence with seven suspended days, was occasioned by an attempt to take her own life in July. A good deal of this gloomy effort was spurred on by official refusals to permit access to treatment for gender dysphoria. 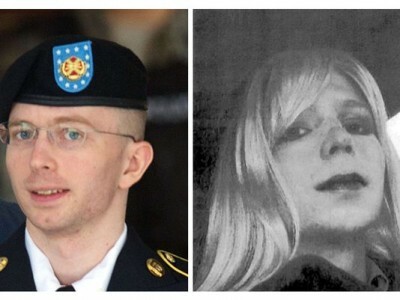 Manning has not merely been an aberration to US state security in her actions, but a transgender puzzle within the military establishment. Left to such devices of desperation, the only form of meagre autonomy left is suicide, that one great act of liberation that throws off the captor and negates the need for their presence. It is the grand act of disruption. “And because liberation is destruction,” suggests Jean Améry, “it finds its most extreme possible confirmation in voluntary death.” With, of course, the questionable point to what extent one remains in a voluntary state when confined in such circumstances. But not even such a possibility could be permitted in a universe where solitary confinement becomes an excessive form of suicide prevention. There is a macabre institutional irony to this, given the fact that solitary confinement goes some way to provide ample encouragement to inmates to take their own lives. As the American Civil Liberties Union has noted, some 73 percent of suicides in incarceration tended to take place in isolation cells. Adding to this grotesque figure is how many prisoners are held in what has been termed “restricted housing”, including a range of penal restrictions such as “administrative segregation, disciplinary segregation and protective custody”. The one thread that unites all is a heavy emphasis on social isolation. The effort on the part of Manning to take her own life was not the only gripe the board had. Manning had been reading some supposedly seditious material – in so far as it was Gabriella Coleman’s Hacker, Hoaxer, Whistleblower, Spy. Even in prison, Manning’s diet of cerebral consumption has moved into such areas as Coleman’s discussion of Anonymous, though it was always going to sail close to the wind of legality. A statement from Manning gave some detail about the treatment. Manning was “acquitted of the ‘Resisting the Force Cell Move team’ charge” but found guilty of the “Conduct Which Threatens” charge. “This charge,” she clarifies, “was for the suicide attempt.” Such an attempt, so went the charge, threatened the “orderly running, safety, good order and discipline or security” of the facility. Having Coleman’s book in her possession amounted to being a breach of the “Prohibited Property” injunction, given that it was an unmarked copy. Even within cells, the threat of literature remains ominous and pressing, necessitating such actions as “disciplinary segregation”. Manning has engaged in a range of actions that have further transmuted her actions into those of a political dissident. A five day hunger strike, oiled by public indignation managed to yield some health care concessions. But the prevailing weapon used by authorities of solitary confinement suggests that degrading the human spirit remains the acme of the US prison system. That particular point of degradation is fundamentally spiritual and mental. As the US Supreme Court noted in supposedly less enlightened times in the case of In re Medley, 134 US 160, 168 (1890), such prisoners “fell, after even a short confinement, into a semi-fatuous condition, from which it was next to impossible to arouse them” while others became “violently insane” or took their own lives. Most strikingly, such solitary punishment could hardly ever be said to reform a person, sabotaging personality and being. It could hardly ever have any relevance for Manning, whose conscience remains unhampered by the assaults. There was, in short, never anything to reform to begin with. Far from enabling a person to enter a world after such an ordeal, such a cruel state, according to the Supreme Court, would have produced a defective of low “mental activity” incapable of providing service to the community. Manning’s supporters can only hope that such a state of mind has yet to be reached.